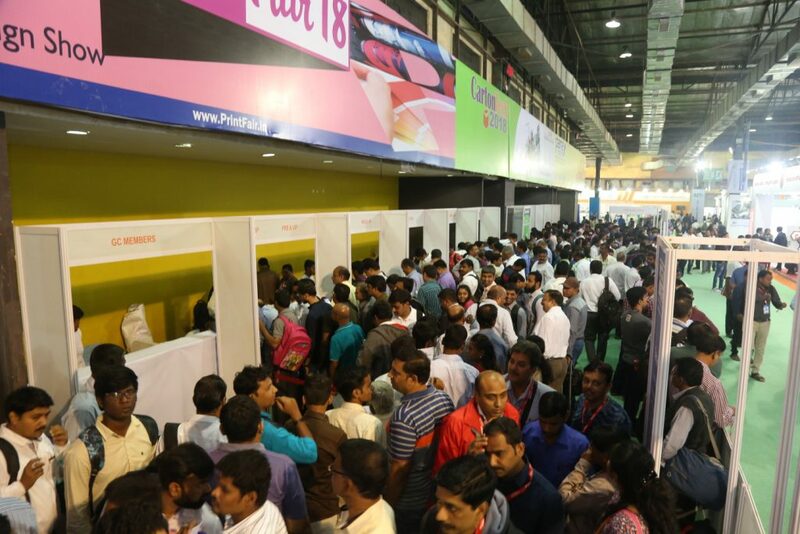 Shedding the months of gloom due to the problems related to adoption of the new tax regime, Pamex 2017portends a bullish industry in the new year as the curtains came down on a successful event with unprecedented footfall of 25223 visitors and several deals being reported at the venue itself. 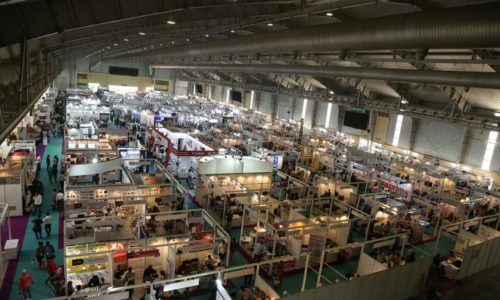 The event was held from 18 to 21 December at Bombay Exhibition Centre, Mumbai. 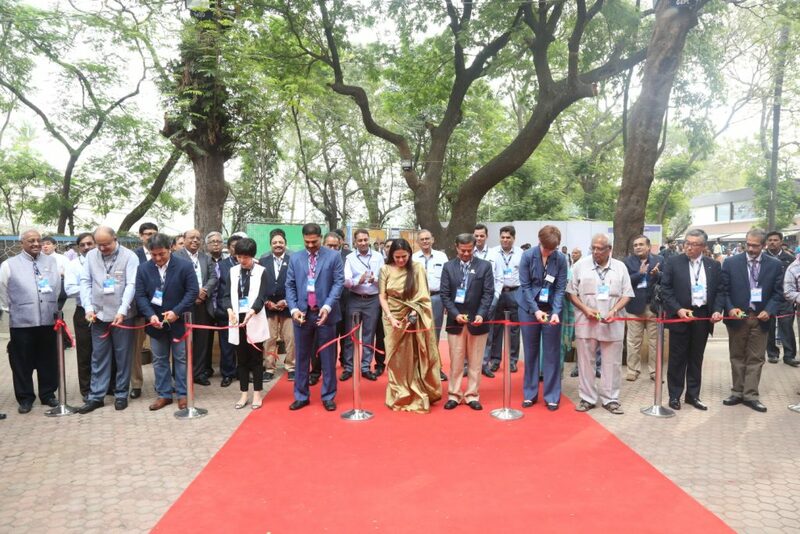 Spread across two halls, 1 and 5, Pamex’17 opened its doors witha ribbon cutting ceremony at the hands of AMSG Ashokan, President, AIFMP; S. Dayaker Reddy, President, IPAMA; Tushar Dhote, President, MMS; Mehul Desai, President, BMPA; Chang Xiaoxia, General Manager, CAPT (China Academy); Neetu Arora, Director, Print-Packaging. Com (P) Ltd.; Pernilla Jonsson, Senior Director, Global Programs, NPES; Balasaheb, Maharashtra Mudran Parishad; Yasuhito Nagai, Auditor, JPMA (Japan) &Mustafa Kapadia, Director& President, SPAI. 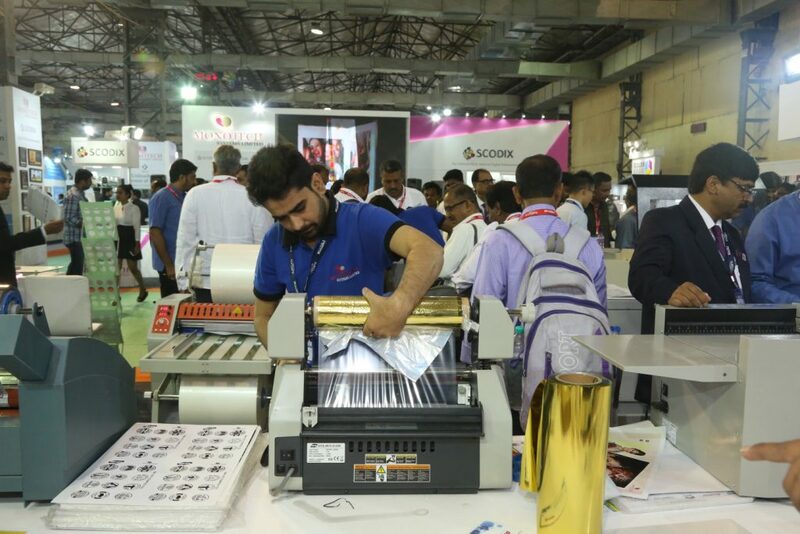 The Show featured 350+ exhibitors who presented latest innovations and developments from the industry with 75+ product lauches, 200+ running machines and several other attractions. It Was Pouring Deals @ Pamex 2017! – Zhongke India sold its ZK-5540OWL paper box making machine to Ma Prints Bengaluru. – Autoprint Machinery Manufacturers booked an order for Blankmatic 108 2H, an offline stripping machine. – EFI Vutek, announced the sale of EFI Vutek GS3250LX Pro wide-format kit. – Pratham reported that it booked orders for six paper folding kit of varying configurations. – New Delhi-based NBG Tech announced the sale of two machines from Hongming, its Chinese principal. 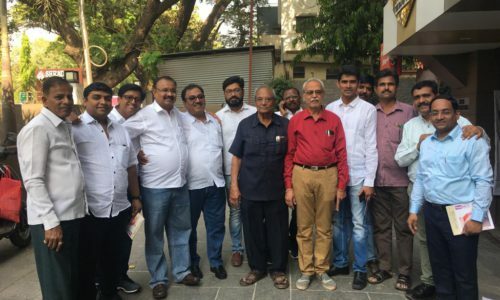 – Mototech Systems shared the news of selling Scodix Ultra Pro Digital Enhancement Press with Foil Station to United Multiclour Printers (P) Ltd.
– Ample Graphics sold Fully Automatic Dry Lamination Machine, Window Patching Machine and Semi-automatic Rigid Box Making Machine. 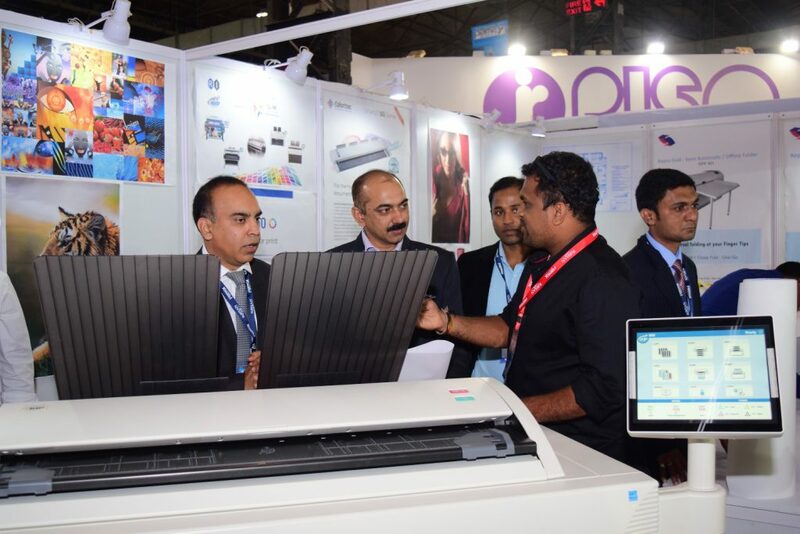 – Memory Repro Systems (P) Ltd. sold three of its machines from the range of automatic thermal lamination machine and automatic plate cleaning machine, which they were displaying at the event. – Kadam Digital Transcripts (P) Ltd. ordered HP Indigo 1200 press. – APL Machinery (P) Ltd. booked orders forSmart Coater and Smart Coater+at the event. -Vijaya Grafiks sold its high speed Automatic Carton Folder Gluer. – Indo Poly Machines Corporation announced the sale of its Polymaster Machine. 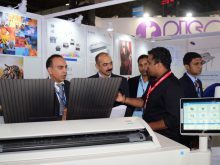 – Five Star Printing Machinery sold a Multi-purpose Punching Machine and a Saddle Stitcher at Pamex Exhibition. Several companies received serious enquiries and gathered leads which were to turn in orders soon after the event. The exhibitors as well as the visitors, both had a win-win situation. Meeting & Networking Events @ Pamex 2017! Several events were also happeningon the sidelines where parallel meetings and conferences were scheduled. 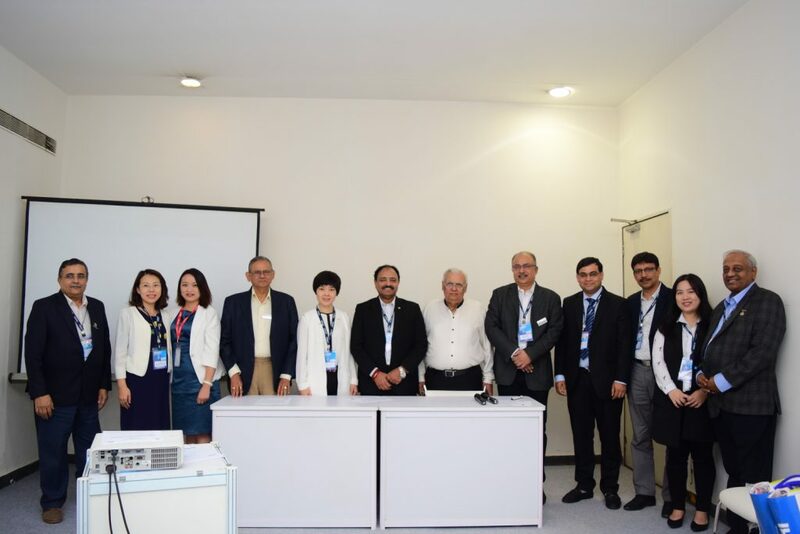 Starting from the very first day of the exhibition, the organisers of Pamex met the team of Japan Printing Machinery Association (JPMA) to discuss about the industry prospects.Elite from Indian print industry also discussed about the rising opportunities with the suppliers from China in closed door events. AIFMP, IPAMA, Capexil, LMAI and other bodies used the occasion to meet and network at the venue. 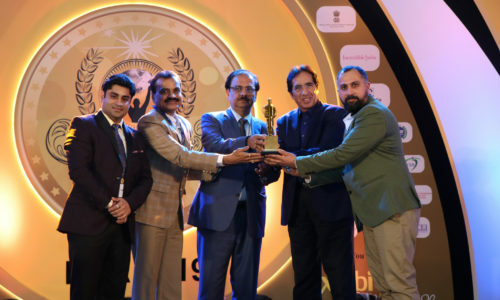 The exhibitors’ evening was organized at a glitteringevent where the prestigious National Awards for Excellence in Printing (NAEP) were given away. The winning entries were also displayed in a special gallery at the exhibition. Exhibitors were occupied with the steady flow of visitors throughout the four days. “There has been an excellent footfall and we have been extremely busy throughout. We saw a lot of quality crowd and the customers who are here genuinely for business. We sold Scodix Ultra Pro which is in top of line for enhancement press and have got a lot leads for it. We are definitely participating in the next edition in a bigger manner than this year.” said Mr. Tej Prakash Jain, Managing Director of Monotech Systems Ltd. The visitors were enthralled with remarkable line up of displays and live demos. “Pamex was really helpful as I found the kind of pre-press solution I was looking for along with some interesting offers. The Show was highly informative.” said Mr. Devendra Rathore from Elim Enterprises. 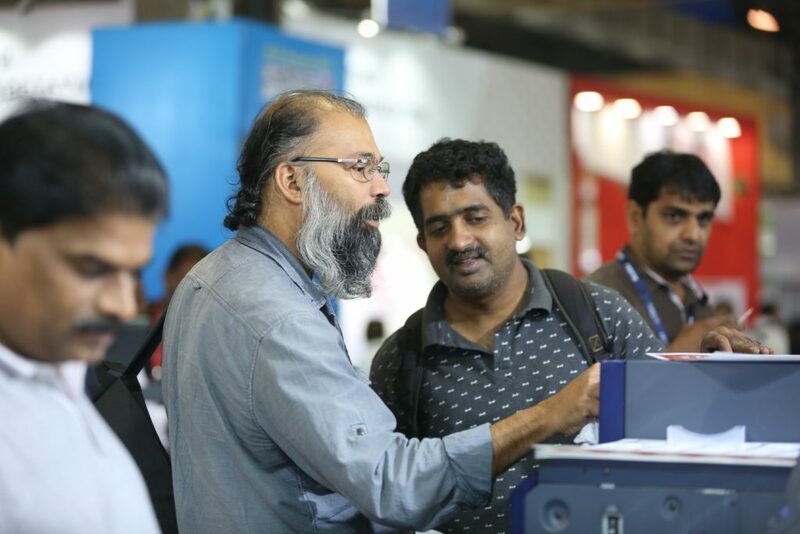 The dates for next edition have already been settled and the industry will unite again from 6- 9 January 2020 at the same venue of Bombay Exhibition Centre, Mumbai. Next post Co-located PackPlus South & PrintFair set the visitor numbers soaring!